How are we all? Is 2018 treating us the way that we want it to already? This is definitely a blog post which everyone posts in the first few days of the New Year; however, as we all know I’m not one to follow the crowd. There’s definitely been a lot of thought put into deciding what I wanted my goals to be this year, mainly because this year is such a big year for me personally. However, it’s the beginning of February and my goals are set. Just like last year I’ve made a list of five goals that I hope to achieve over the next twelve months. Education is definitely something that my goals are focusing on this year with this year being the most important year for me in terms of school. There are definitely some broader ones though so I think that we should just get straight into it and find out what all my goals are. Fashion is something that I love but I do wish I was better at. I always see people I follow on Instagram wearing the most amazing outfits that I’d never even think of putting together but want to wear immediately, or wear the simplest of outfits but make it look a thousand times better than I could. This year I really want to have a good sort through all my clothes and decide what I think is a staple, write a list of all the clothing items I want or need and then slowly start to put together my perfect wardrobe. If any of you have any fashion tips for me or staple items of clothing that you definitely think I need to own then let me know, always open to suggestions over here! A Levels; the bane of my existence. Believe your teachers when they tell you that A Levels are the most difficult things that you’ll ever do. I wish I’d listened to that advice more. With almost finishing mocks I’ve realised I need to knuckle down and get my shizzle together. Organisation is something I’m really into so I definitely think in order to pass my exams that I need to use this skill to my advantage. I’ve already set up a timetable for February to fill out so I can plan all my revision, hopefully, I can keep that up. If you want some study websites I definitely recommend Quizlet, it’s really easy to use and I’ve found it quite helpful in my mock exams. Weight loss and body confidence is something that I’ve struggled with for most of my teenage life. With social media’s influence becoming much larger over the past few years I can’t help but see perfectly posed people looking exactly the way I wish I could, however, knowing that many of these photos are subject to the hands of Photoshop they’re unrealistic hopes. Therefore this year instead of trying a crazy thirty-day detox or fad diet I want to try and lose weight in a much healthier and much more controlled way. I can luckily say that so far this hasn’t been one of these stereotypical New Year’s Resolutions but has in fact been working out for me so far. Fingers crossed it carries on. It’s definitely took some time to believe that I could get any offers from the universities that I applied to, even after I received my five offers I still couldn’t quite believe it. Now that the dust has settled and I’ve actually given myself the time to realise that I’ve accepted a firm and insurance choices the reality has set in. 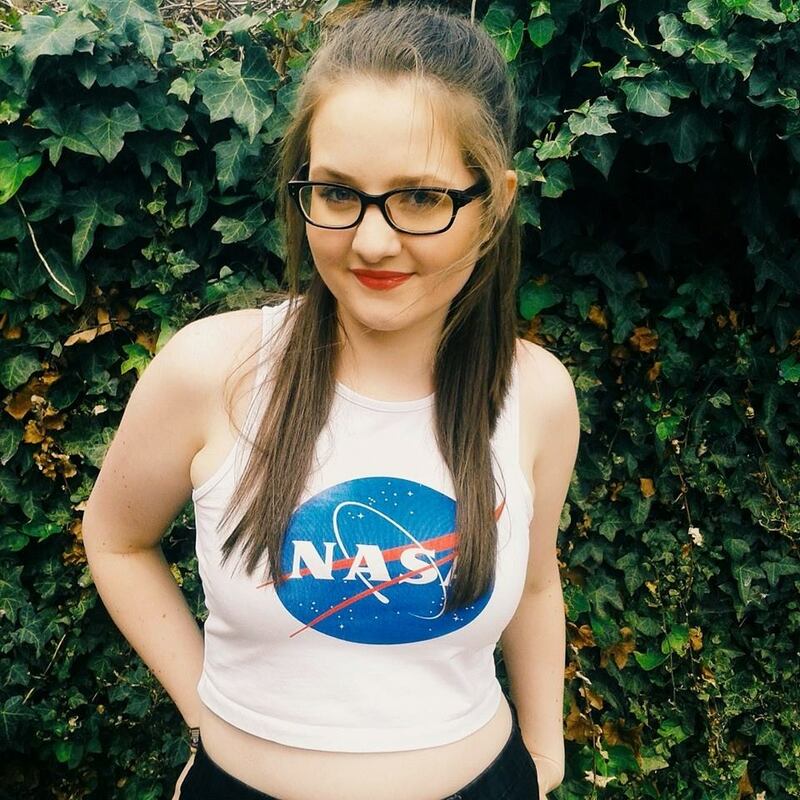 Going to university is an absolute dream of mine and has been since about the age of ten so I’m most determined to get into my dream university on results day. I’ve already started buying a few bits and bobs to go in my bedroom, the many lists have started to be made and the excitement in the possibility that I might be studying what I love in the place that has captured my heart has set in. There they are my four goals that I am determined to complete in 2018! 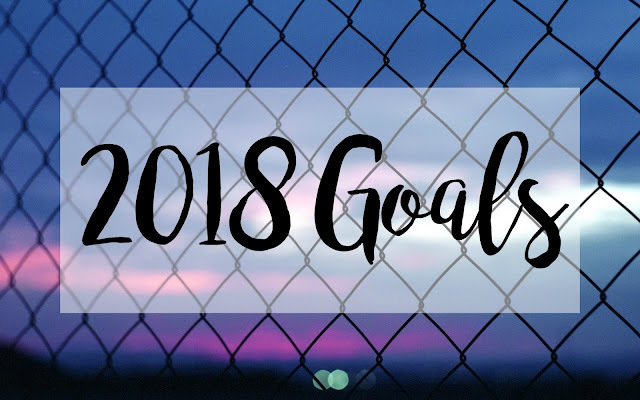 What are your 2018 goals? I always love seeing what people want to achieve throughout the year ahead in order to make their 2018 as amazing as possible. Fingers crossed that we can all achieve our goals! Until next time.